Tom Wilson is a member of the Young Leaders Program at The Heritage Foundation. James Di Pane is a research assistant in the Davis Institute for National Security and Foreign Policy at The Heritage Foundation. 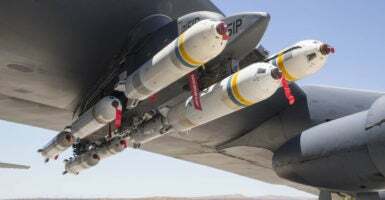 Beyond that, most critiques of the Pentagon’s compromise policy ignore the fact that it now requires new purchases of cluster munitions to either have a less than 1 percent failure rate, or have self-destruct mechanisms that will be triggered after firing.